Hello, I'm Gregor and I put this site together. At first, you'll find an overview of recommended wide angle mirrors, followed by a public poll and a general buying guide on wide angle mirror. Further down on this page, we do link to other well-written articles and reviews about wide angle mirrors. At last, you'll be able to weight in your own opinion in the comments section. If you also want to vote on the best wide angle mirror, click here to view the poll. Wide angle mirrors are used to increase the viewing range of the user. For example, many shops and stores utilize wide angle mirrors at the corner of two intersecting walls because it allows the user to view what is happening along both walls. 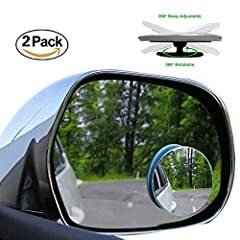 As well, wide angle mirrors are used on vehicles so that the driver has a much wider view of what is happening from behind. However, there are many considerations before a wide angle mirror is purchased and installed. This article provides tips and considerations for those interested in wide angle mirrors. Depending on what is needed, wide angle mirrors can be machined to be convex or concave (also known as dome mirrors). Convex mirrors are typically used if the viewer needs to observe what is happening up to 20 feet away. Since the mirror is convex, the image appears very similarly to a standard mirror. The convex wide angle mirror helps the viewer to see up to 180 degrees. 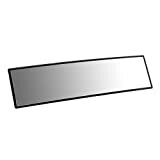 These are the typical mirrors used on vehicles or at the end of long aisles in grocery stores. As is the case with all projects, the mirror will have to be made with materials that can withstand where it will be used. Mirror lenses are typically made out of glass, polycarbonate, and even stainless steel. Each lens material offers its own advantages and disadvantages. For example, the stainless steel lens offers the most resistance to corrosion and typical wear and tear, but does not offer as clear of a picture as a glass lens. However, a glass lens is subject to shattering upon any sort of impact. 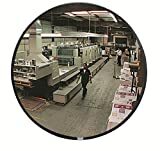 The polycarbonate lens falls in between glass and stainless steel, but is known for being very sturdy and having a long life (https://www.acplasticsinc.com/.../r/polycarbonate-sheet-is-a-better-investment-than-glass). So, if the mirror is being used in the outdoors, a stainless steel mirror may hold up longer. But, if the mirro is being used in a store, perhaps a glass or polycarbonate mirror would suffice. 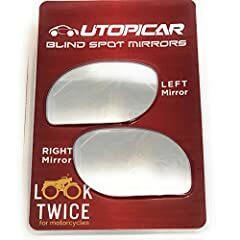 An example of a lower quality and less expensive wide angle mirror is the K-Source Custom Blind-Spot Mirrors w/ Optical Blue Lenses. 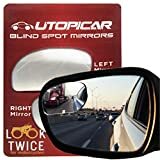 This mirror has a glass lens with a plastic backing that has an adhesive attached to it for easy placement on a vehicle's mirror. One can own this mirror for less than $10. An example of a more high-end and expensive wide angle mirror is the PV36-360 Panaramic Full Dome Plexiglas Security Mirror, 360 Degree Viewing Angle, 36" Diameter. This mirror provides 360 degrees of viewing and an acrylic lens which lowers the price and makes the product lighter. This product can be purchased for less than $150. Lastly, one of the more expensive wide angle mirrors is the Polycarbonate Lens, Indoor Full Dome Safety, Traffic and Inspection Mirror. 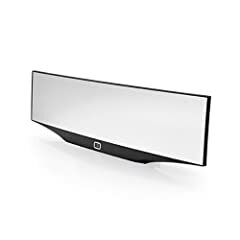 This mirror contains a polycarbonate lens and is only 36 inches. This can be purchased for a little under $550. 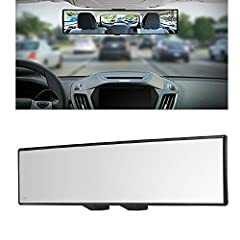 This article gave an overview of some tips regarding what to look for when purchasing and installing a wide angle mirror. Since there are so many options to consider, it is very easy to buy the wrong type of mirror that is needed. However, carefully considering how much space is needed to be viewed, how large the picture needs to be, the shape of the room, and the material of the mirror, one can weigh the options and make a decision as to which mirror is right for the need. New: Our editorial list of additional articles. 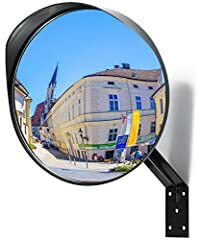 We decided to gather informartion all around the internet and present you a list of helpful, external links to interesting reads about the best wide angle mirrors and their reviews and guides. You're not convinced by the previous writings about wide angle mirrors? Of course you can just choose by visual impression, that's why we present you all our chosen products at a single glance. A click on any image is enough to open an external link to the best offer we could find. 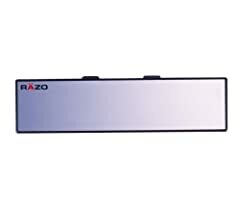 Car Mate Razo RG23 11.8"
Today - Clear Zone Review: Does this Blind Spot Mirror Work? Finally, we want to present you our rating criteria for our wide angle mirror comparison, so you can better understand and comprehend our recommendations and the rating process itself. Furthermore, we still ask you to keep your eyes open for short term deals in order to make some great bargains with wide angle mirror in 2019. Published by G. Krambs on StrawPoll.com (last update on 2019-04-23 08:06:12).